"Simple and elegant, DaVinci Bridal’s informal wedding dresses are designed with the more casual bride in mind. Perfect for an intimate ceremony, an elegant destination wedding or a fun-in-the-sun beach wedding, these classic DaVinci informal dresses will make a highly versatile addition to your wardrobe. 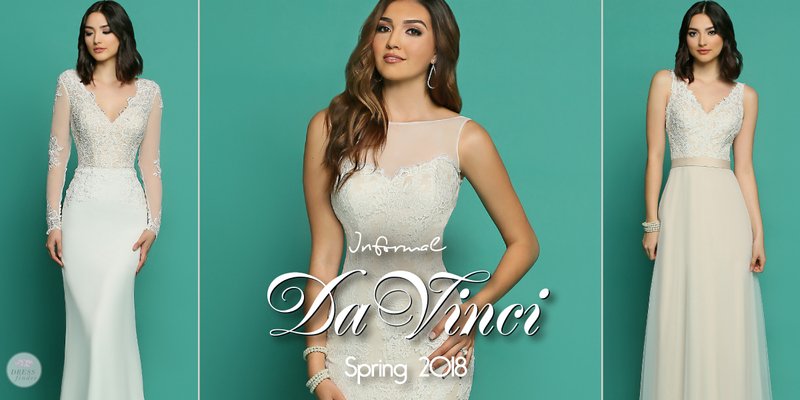 Chic and comfortable, DaVinci Informal dresses are also a popular choice as a second wedding dress or for the bride who wants her bridal party all pretty in white. Regardless of what the occasion may be, rest assured that these lovely dresses will have you glowing and flowing in white like a goddess."